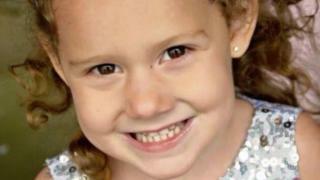 A five-year-old girl died of an asthma attack after being turned away by a GP because she arrived minutes late for her appointment. Ellie-May Clark and her mother, from Newport, were told to return the next morning by Dr Joanne Rowe, a specialist in safeguarding children. The little girl died five hours later, on 26 January 2015. Dr Rowe, 53, who lives in Cardiff, declined to comment when contacted by the BBC. 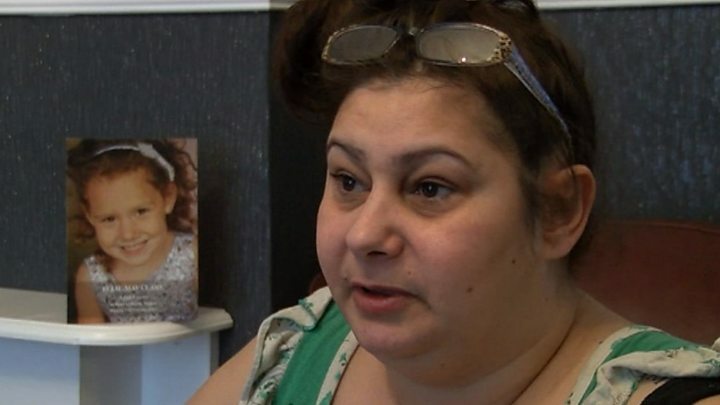 The girl's family is calling for a criminal inquiry into the doctor and said she should be struck off the GP register. Dr Rowe was given a warning by the General Medical Council and has now moved to another practice. Ellie-May's grandmother, Brandi Clark, 43, said: "They were a few minutes late and Shanice [Ellie-May's mother] even told the receptionist they wouldn't be there on time. "But Dr Rowe sent them away. "Her decision cost our gorgeous little girl her life. "Our lives have been shattered, but Dr Rowe has been allowed to get a new job and quietly move on with her life as if nothing ever happened." Ellie-May had a history of severe asthma and had been treated five times in a hospital high dependency unit. As the Mail on Sunday reported, Dr Rowe's practice had been warned by a paediatrician that Ellie-May was at risk of a life-threatening asthma attack. She was sent home from school early on 26 January, 2015 because teachers were concerned her asthma was "deteriorating". Her mother, 25-year-old Shanice Clark, made an emergency appointment at the Grange Clinic in Newport and was told to get there at 17:00. This gave her 25 minutes to arrange childcare for her two-month-old baby and ask a friend to give her a lift to the surgery a mile away. Ms Clark claims her mobile phone was showing 17:04 when she arrived, but that she then had to queue at the reception desk. After being turned away, Ms Clark took her daughter home and dialled 999 at 22.35 when she suffered a seizure and stopped breathing. She was taken to the Royal Gwent Hospital, in Newport, by ambulance. Doctors told her they worked on Ellie-May for half an hour, but were unable to bring her back. Ms Clark, a single mother, was too upset to talk about losing her little girl, but Ellie-May's grandmother said: "We all feel terribly let down, I think Dr Rowe should go to jail for what she did. I can't believe she was not struck off. "We haven't even had an apology from Dr Rowe who has got away with just a slap on the wrist. "She has been allowed to get on with her life, get another job and move on." Dr Rowe, who qualified in 1986, was a senior partner at The Grange Clinic for 22 years where she was in charge of child safeguarding at the practice. The GMC investigation found she "failed to consider the medical history of the child" and gave her a warning which will stay on her record for five years. The GMC told her: "Your failure to see and assess this child does not meet with the standards required of a doctor. "It risks bringing the profession into disrepute and it must not be repeated." An inquiry by the Aneurin Bevan Health Board, which controls the surgery, also found Dr Rowe had "failed to make any clinical assessment". The health board's report said Ms Clark and Ellie-May arrived eight minutes late, contrary to the family's claim it was four minutes. The confidential report said reception staff rang through to Dr Rowe, but she shouted back at a receptionist "something like 'No I'm not seeing her, she's late'." Dr Rowe claimed she was with another patient when she turned them away. But the health board checked computer records at the surgery which showed the doctor did not see any patients between 16:55 and 17:20 after a number of cancellations that day. The Serious Concern report also said reception staff were afraid of Dr Rowe, who was known for "repeated angry outbursts". It says: "There is a consensus that Dr Rowe is unapproachable and volatile. Many staff reported being afraid to challenge her decisions or seek a second opinion from one of the other doctors." The report concludes that it was Dr Rowe's usual practice to refuse to see patients who arrived late for either routine or emergency appointments. After being suspended on full pay for six months, Dr Rowe has since joined the Cloughmore Surgery in Splott, Cardiff. A spokeswoman for Aneurin Bevan Health Board said: "Our thoughts remain with the family and friends of Ellie May. "We can confirm that Dr Rowe no longer works within the health board area, and also that we referred the doctor to the General Medical Council who investigated in accordance with their procedures." The Gwent Coroner is investigating the death and an inquest is due to be held.